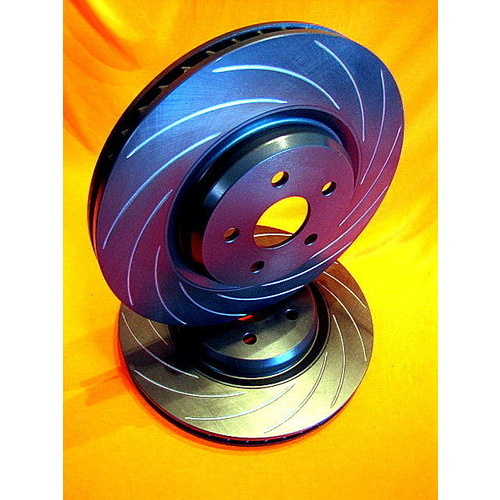 We are selling a New Pair of Genuine VMAX Directionally Curve Slotted 365mm Front Performance Brake rotors to suit all Holden Commodore HSV VE models including R8, GTS, CLUBSPORT, MALOO, SENATOR and GRANGE models with AP Racing 4 and 6 Piston and Harrop 6 Piston brake caliper packages. 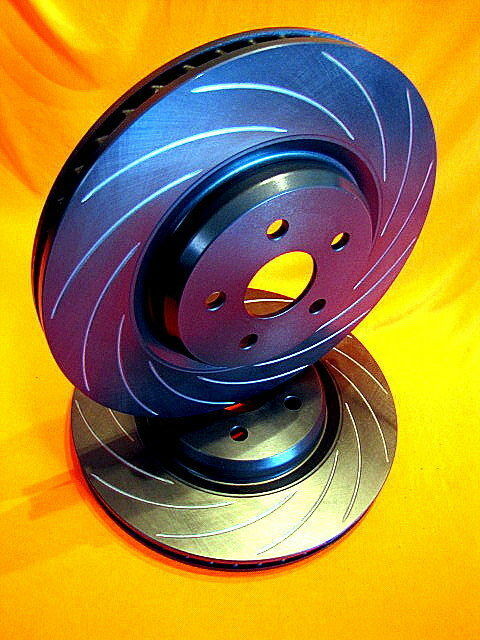 VMAX Rotors are Australian engineered of the highest quality high carbon content hardened cast iron, all machining is done by here in Melbourne by Australian Engineers, they are digitally balanced, have a High Temperature Anti Chip Corrosion resistant coating and Guaranteed against manufacturing defects and cracking for a full 12m/20,000Km. 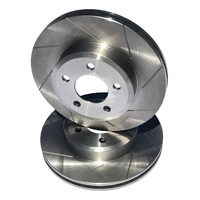 These are the HSV VE factory 365mm diameter X 32mm thickness and are direct fitment parts just like the original HSV factory items. 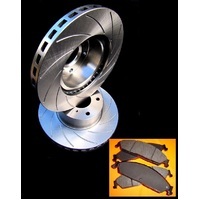 EXCLUSIVELY DEVELOPED AND ONLY AVAILABLE AUSTRALIA WIDE THROUGH PERFORMANCE CAR PARTS ONLINE. 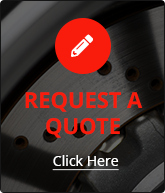 We do not offer free postage to WA outside of Perth metro and the whole of the Northern Territory, please contact us for additional postage costs for these areas. 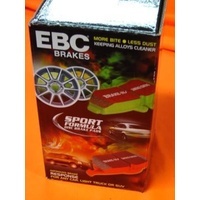 *NEW Specially developed Curved Deep Grooved Race track Slots- Deeper than usual Slotting providing a Quicker and smoother pad bite and Immediate removal of hot gases, preventing glazing in emergency and High Performance situations giving shorter braking distances and cooler running brakes. 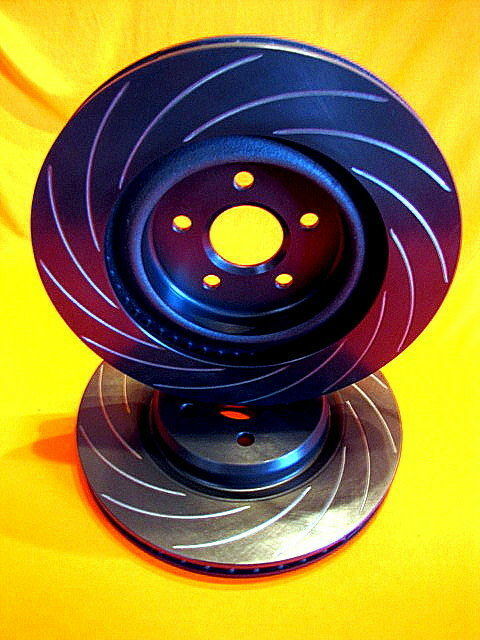 *NEW Deep grooved pattern. 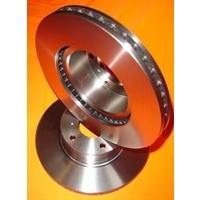 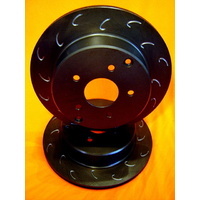 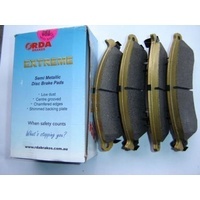 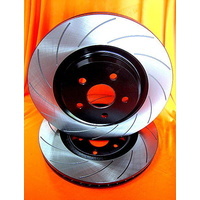 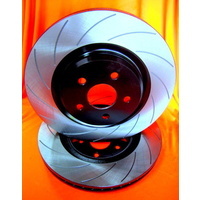 - Race track developed producing Shorter braking distances at cooler temperatures without the dangerous cracking problems associated with cross drilled rotors. 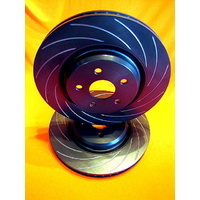 *Fully Guaranteed for 12m/20,000Km - Against cracking when following the instructions and warranty papers supplied. 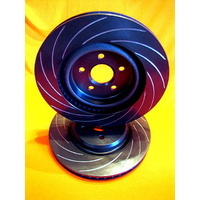 *New High Temperature finish Rust resistant coating- Stop Rust appearing on all the non braking surfaces, will not chip and leave a rusted looking disc under your wheels. 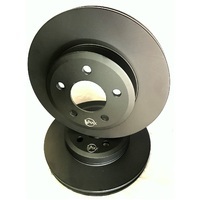 Rears are available, please contact us if needed. 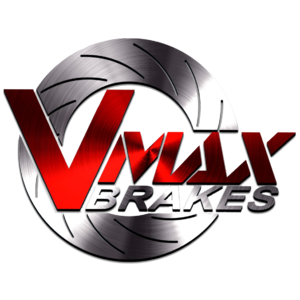 All VMAX Brake products are covered under a extensive 12 months 20,000 Km replacement warranty against manufacturing defects and cracking when fitted as per instructions and warranty papers supplied. 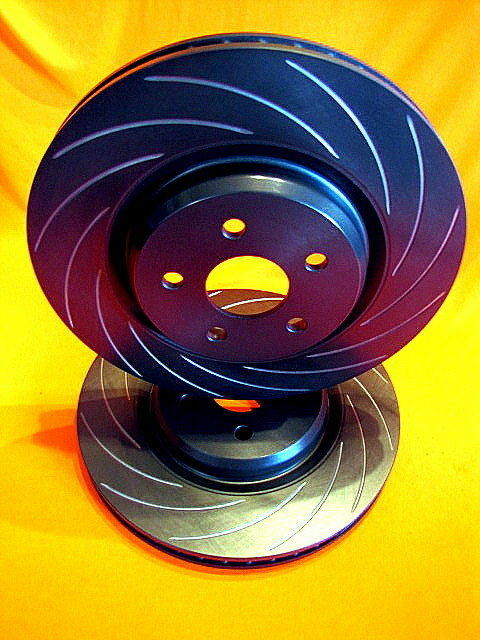 Copyright notice; All information and pictures on this page are the property of Stefkovic Pty Ltd 2014 and may not be distributed or commercially exploited, copied, reproduced fully or partially in any way.